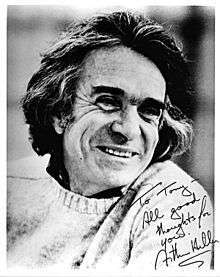 Arthur Hiller, OC (November 22, 1923[lower-alpha 1] – August 17, 2016) was a Canadian-American television and film director, having directed over 33 films during his 50-year career. He began his career directing television in Canada and later in the U.S. By the late 1950s he began directing films, most often comedies. He also directed dramas and romantic subjects, such as Love Story (1970), which was nominated for seven Oscars. Hiller was born in November 1923 in Edmonton, Alberta, the son of Rose (Garfin) and Harry Hiller. His family was Jewish, and had emigrated from Poland in 1912. He had two sisters, one thirteen years older and one eleven years older. His father operated a second-hand musical instruments store in Edmonton. Hiller recalled that when he occasionally traveled home while he was in college, the blacks he met with "treated me like a king. Why? Because they loved my father. They told me that unlike other shopkeepers, he treated them like normal folks when they went to his store. He didn't look down on them". After he graduated from high school, he joined the Royal Canadian Air Force in 1941 during World War II. He served as a navigator on four-engine Handley Page Halifax heavy bombers on night missions over Nazi-controlled territory in Europe. After he returned from serving in the military, Hiller enrolled in and later graduated from University College, Toronto with a Bachelor of Arts degree in 1947. After Israel was declared a state in 1948, he and his wife unsuccessfully tried to join its army since it came under attack. [lower-alpha 2] He continued in college and received a Master of Arts degree in psychology in 1950. One of his first jobs after graduating was with Canadian radio directing various public affairs programs. The comedy Promise Her Anything (1965), with Warren Beatty and Leslie Caron, followed by Penelope (1966), starring Natalie Wood. In a move away from comedy, he directed the desert warfare drama, Tobruk (1967), starring Rock Hudson and George Peppard, about a North African Campaign during World War II. The film was nominated for one Academy Award and showed Hiller capable of handling action films as well as comedy. Around the same time, he returned to comedy with The Tiger Makes Out (also 1967), starring Eli Wallach and Anne Jackson, and featured Dustin Hoffman's film debut. Popi (1969), recounts the tale of a Puerto Rican widower, starring Alan Arkin, struggling to raise his two young sons in the New York City neighborhood known as Spanish Harlem. Arkin was nominated for a Golden Globe Award for Best Actor. Hiller directed Love Story (1970), his best known work and most successful at the box-office. The film stars Ryan O'Neal and Ali MacGraw in a romantic tragedy, and it was nominated for 7 Academy Awards including Best Director. The American Film Institute ranks it No. 9 in their list of the greatest love stories. Critic Roger Ebert disagreed with some critics who felt the story was too contrived: "Why shouldn't we get a little misty during a story about young lovers separated by death? Hiller earns our emotional response because of the way he's directed the movie. . . . The movie is mostly about life, however, not death. And because Hiller makes the lovers into individuals, of course we're moved by the film's conclusion. Why not?" Outrageous Fortune (1987), stars Shelley Long and Bette Midler. The film was successful at the box office, with Midler being nominated or winning various awards. The film was followed by See No Evil, Hear No Evil (1989), another comedy again starring Gene Wilder and Richard Pryor. Pryor plays a blind man and Wilder a deaf man who work together to thwart a trio of murderous thieves. Hiller served as President of the Directors Guild of America (DGA) from 1989 to 1993 DGA presented Hiller with the Robert B. Aldrich Award in 1999 and the DGA Honorary Life Member Award in 1993. In 1970 he received a DGA Award nomination for Outstanding Directorial Achievement in Feature Film for Love Story. He was also a member of the National Film Preservation Board of the Library of Congress from 1989–2005 and President of the Academy of Motion Picture Arts and Sciences from 1993 to 1997. He received the Jean Hersholt Humanitarian Award at the 2002 Academy Awards ceremony in recognition of his humanitarian, charitable and philanthropic efforts. In 2002, he was honoured with a star on Canada's Walk of Fame in Toronto. In 2006, he was made an Officer of the Order of Canada. He received an honorary Doctor of Laws in 1995. Writer and producer William Froug said that "Hiller is that rare and hugely successful gentleman who has remained humble all his life." In 1948, he married Gwen Pechet, who was also Jewish; they had two children and two grandchildren. His wife died on June 24, 2016. They were married for 68 years. Hiller died almost two months later in Los Angeles on August 17, 2016 at the age of 92. ↑ The New York Times claims he was born on November 13, 1923, while most other sources list it as the 22nd (Los Angeles Times, Film Reference, The Hollywood Reporter, and Katz's Film Encyclopedia). ↑ He said that "Israel was immediately attacked by five different Arab armies ... I volunteered, but they turned me down because I was married. I drove down to Seattle to try to volunteer from the United States, but again was turned down because I was married. My wife agreed to volunteer too, but again, 'No.' ... I admire their [Israelis'] determination and dignity of purpose with high ethical standards as they try to make their country safe for democracy, while the countries around them try to make the Arab world safe from democracy. ↑ "I prefer them [scripts] with good moral values, which comes from my parents and my upbringing ... Even in my smaller, lesser films, at least there’s an affirmation of the human spirit." 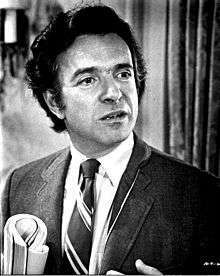 1 2 "Arthur Hiller, Oscar-nominated 'Love Story' director, dies at 92". The Washington Post. August 17, 2016. Retrieved August 18, 2016. 1 2 3 4 5 6 7 8 9 Downs, Jacqueline (2001). Allon, Yoram; Cullen, Del; Patterson, Hannah, eds. Contemporary North American Film Directorslocation=London. Wallflower Press. pp. 243–44. ↑ Crowther, Bosley. The Americanization of Emily review, New York Times, 28 October 1966. 1 2 Baxter, Brian (18 August 2016). "Arthur Hiller obituary". The Guardian. Retrieved 19 August 2016. ↑ Hiller named Officer of the Order of Canada Archived May 12, 2009, at the Wayback Machine. ↑ "Gwen Hiller, Wife of 'Love Story' Director Arthur Hiller, Dies at 92". Hollywood Reporter. June 26, 2016. ↑ ""Pechet (family)"". Society of Alberta Archives. Retrieved August 17, 2016. ↑ Hipes, Patrick. "Arthur Hiller Dies: Oscar-Nominated 'Love Story' Director Was 92". Deadline. Retrieved August 17, 2016. ↑ Carmel Dagan (23 June 2014). "Arthur Hiller Dead: 'Love Story' Director Was 92". Variety. Retrieved August 17, 2016.